Ray concentrates his practice in the Government Relations, Litigation, Labor and Employment, Workers’ Compensation and White-Collar Defense and Investigation practices. He represents employers ranging from small, closely held businesses to large public corporations and public entities. Bringing more than 24 years of combined local, statewide, and national political experience to the table, Ray has worked with and advised officeholders and political candidates at all levels of government and provided counsel to individual, corporate, and not-for-profit organizations as they address their issues and interests with governmental entities. Ray is currently in his seventh year as an appointed member of the Executive Committee for the Cuyahoga County Democratic Party. In 2018, Ray was appointed by the Mayor of Cleveland to the City of Cleveland Landmarks' Commission. Ray is also a former Mahoning County Democratic Party Treasurer and a former Mahoning County Democratic Party Executive Committee Member. As a litigator, Ray has successfully argued cases on behalf of clients in various Courts of Common Pleas throughout the state of Ohio in addition to various Ohio Appellate Courts, including the Ohio Supreme Court. He has served as an Assistant Attorney General for the State of Ohio, as well an Assistant Mahoning County Prosecutor. Ray is a frequent speaker and moderator of presentations for both Calfee clients as well as the general business community. Ray currently serves on the Executive Committee and as a member of the Board of Directors for the Lawyer’s Guild for the Catholic Diocese of Cleveland. Ray is a former member of the Board of Directors and Governance Committee for the Cleveland Play House. He previously chaired the Board of Directors of the Ursuline Center for the Ursuline Sisters of Youngstown. Ray has served as president of the Board of Directors for the Beatitude House, vice president of the Board of Directors for the Youngstown Playhouse, a member of the Mahoning County Alcohol and Drug Addictions Services Board, chairman of parish council for St. Michael Parish in Canfield, and as a member of the City of Canfield’s Charter Review Committee. He is a graduate of Leadership Mahoning Valley, Class of 2001. 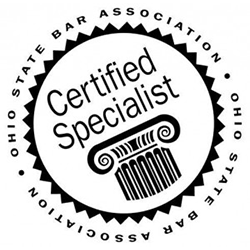 Through the Cleveland Metropolitan Bar Association, and in partnership with the Cleveland Metropolitan School District, Ray has participated as an instructor in the 3Rs program as well as a judge for its mock trial competitions. Ray previously maintained a private practice where he counseled clients in corporate and business law as well as general civil and criminal litigation. He joined Calfee in 2009. Leadership Mahoning Valley, Class of 2001.